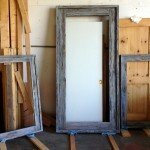 Recently i was asked to make grey Barn-wood mirror frames for hotel in Jamaica . 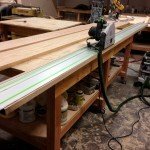 After locating vendor for material i was shocked to learn at the huge price increase for this reclaimed wood . This job was on a two week turn around schedule so getting enough material and fair price quickly was not realistic .